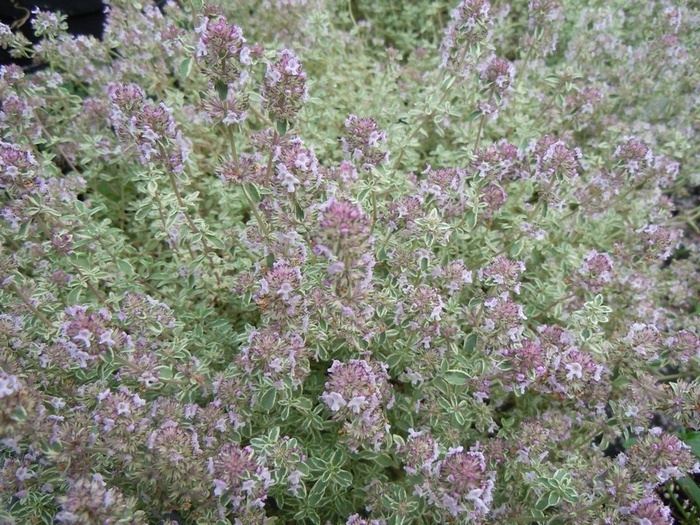 A delightful plant having silver variegated, deliciously thyme-scented leaves . Forms an evergreen shrublet, ht 20cm. Spikes of lilac pink flowers appear in early Summer. For a sunny position in a rockery or front of the border. Also does well in pots or as an edging plant.